Beautifully Broken, a film directed by Eric Welch, a 1987 graduate of Liberal High School, will be coming to Liberal beginning Friday, September 21st at the Southgate 6 Theater. The film follows a refugee’s escape, a prisoner’s promise, and a daughter’s painful secret converge in this inspiring true story of hope. As three fathers fight to save their families, their lives become intertwined in an unlikely journey across the globe, where they learn the healing power of forgiveness and reconciliation. You can find the trailer, music videos, movie clips and other information at: www.beautifullybrokenmovie.com. Eric was raised in Liberal, KS. He was a member of the Redskin Singers and performed in the LHS Production of “Oklahoma” . He went on to participate in the Swinging Saints Show Choir. He graduated from college at Oral Roberts University in Tulsa. His Dad Vernon was Asst. Principal and later was the Superintendent for USD 480. His Mom Jere Welch and her sister Mary operated Bears Hares and Country Wares for many years here in Liberal. His sister Amber was also very active in the community before starting her own business Amber Marie and Co.
Eric Welch is a visionary director known for creating compelling, heartfelt emotion through his striking visual imagery and storytelling style. 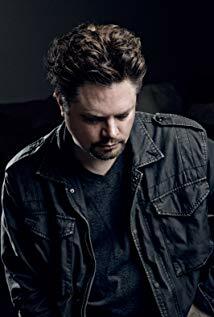 Since founding Broken Poet Productions, he has cultivated a reputation for bringing ideas to life through memorable visual art combining his distinct writing style and exceptional editing skills. Eric has directed over 200 music videos and live concert music films for multiple genre artists such as: Carrie Underwood, Kid Rock, Jimmy Buffet, TobyMac, Mandisa, Kenny Chesney, Steve Miller Band, Hank Williams Jr., Tim McGraw, Miranda Lambert, Dolly Parton, and MercyMe. The content Eric has created is not just artistically relevant; it has been commercially successful – garnering millions of view counts and multiple awards. Defined by his versatility, he consistently delivers a captivating visual style of storytelling and content creation through music videos, commercials, still photography and documentaries. Welch’s commercial work has delivered revenue drivers for brands such Target, Wal-Mart, Cracker Barrel, Red Kap and Richard Childress Racing.